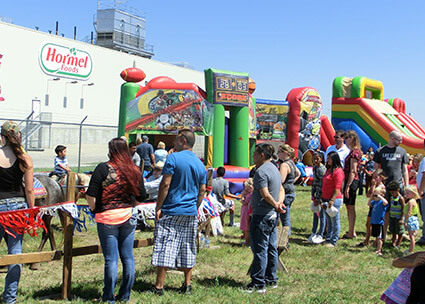 The Swiss American Sausage Company (Lathrop, Calif.) got into the birthday party spirit for the 125th Anniversary of Hormel Foods by enjoying a special carnival! 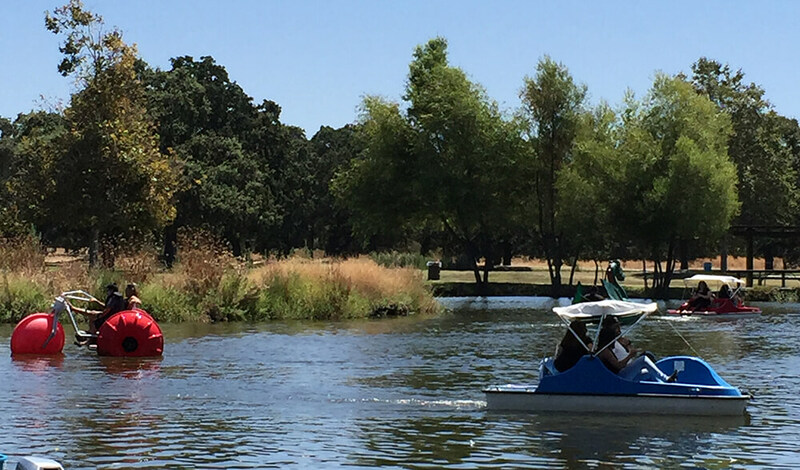 During the afternoon of August 7, over 250 Swiss American Sausage Company team members and their families gathered at Oak Grove Regional Park in Stockton, Calif. for a carnival and picnic. 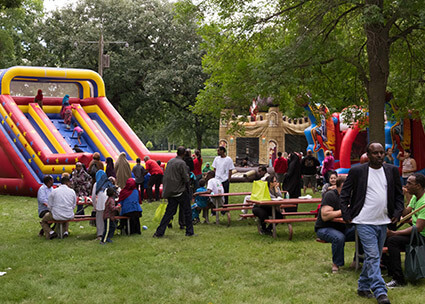 The celebration featured games, three bounce houses, face painting, photo booths, paddle boat rides and a DJ. What a birthday bash! 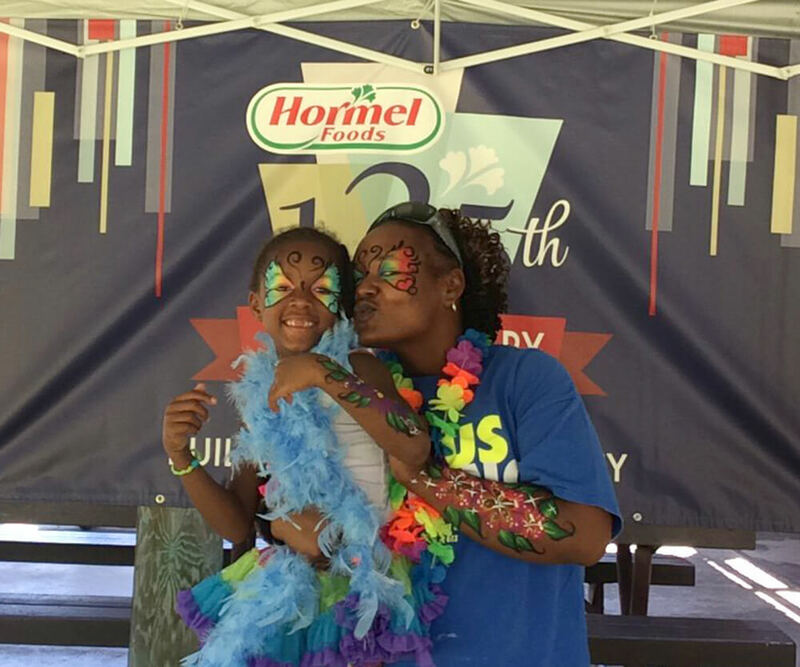 In the photo booths, everyone in attendance had the chance to show off their imaginative sides in funny costumes and creative face-paint makeup. 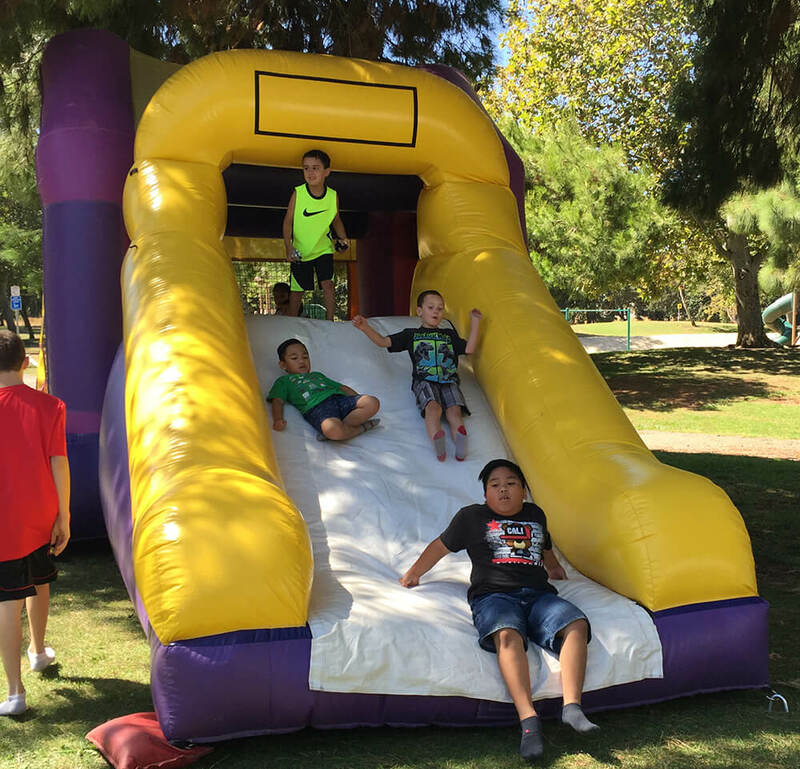 In addition to the exciting activities, a meal served by Texas Roadhouse was served alongside various carnival treats including snow cones, cotton candy and popcorn. Yum! 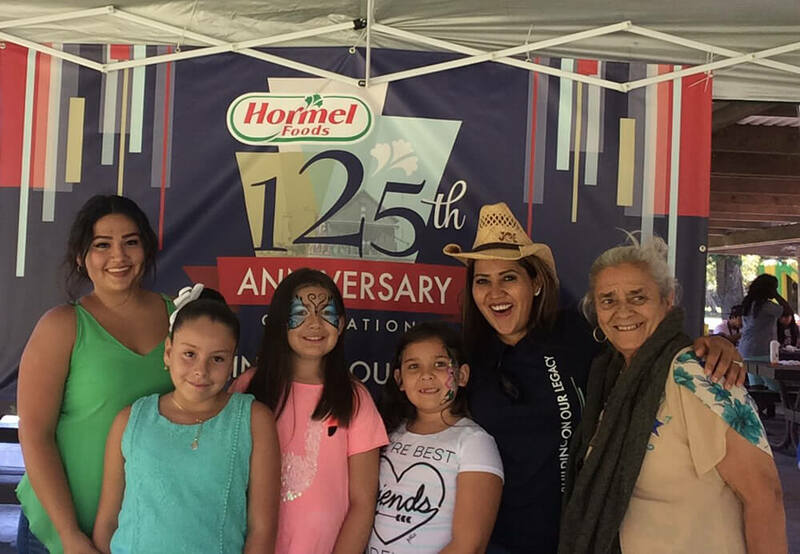 Earlier in the week, employees came together to “REV it up” in a company celebration day, during which they all received T-shirts and Hormel® REV® wraps for lunch. Shout out to the Swiss American Sausage Company team for hosting such a lovely birthday party!